Three Nobel Prize winners will be lecturing at Masaryk University during celebration of Mendel´s birth. 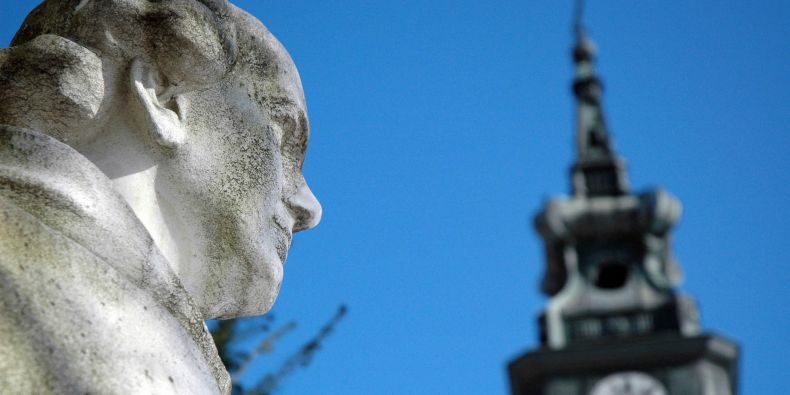 The statue of Mendel stands in front of the Abbey, right in the place where Mendel worked. Nobel Prize winners will be lecturing at the Mendel Museum at Masaryk University.A minimum of three Nobel Prize winners will be lecturing at the Mendel Museum at Masaryk University (MU) as part of the celebrations of this year’s 190th anniversary of the birth of the founder of genetics, Gregor Johann Mendel. The programme, which has been prepared by the University and the Old Brno Abbey in cooperation with other 28 partners, will offer a series of lectures for the expert public as well as laypeople and include conferences and exhibitions. 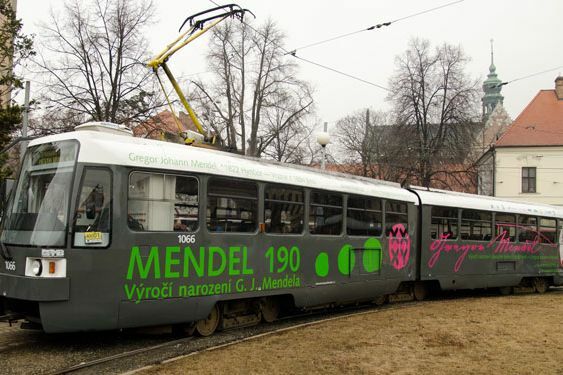 The celebrations were launched with a ceremonial blessing of a tramway dedicated to commemorating the anniversary of Mendel’s birth in the streets of Brno all year round. It will feature a graphic interpretation by students and graduates of the Department of Art at the Faculty of Education, MU. 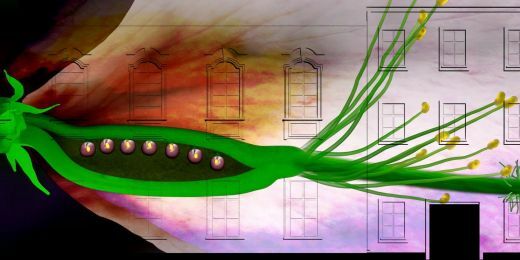 “Masaryk University is aware of the global importance of Mendel´s legacy and that is why five years ago the university took on the management of Mendel Museum, which also functions to popularize science. Our task is to pass on the findings of the founder of genetics to students and further develop them in our laboratories. Thanks to projects like the Central European Institute of Technology (CEITEC) it will be possible to bring the research in these fields to a top level,” said Mikuláš Bek, the Rector of Masaryk University. The promised participation of three Nobel Prize winners, James Watson, the discoverer of DNA, and Tim Hunt and Günter Blobel, is a proof of the respect to not only G. J. Mendel himself, but also the success of scientists from Masaryk University. This anniversary series of Mendel Lectures are being prepared for the beginning of October. Laypeople interested in questions of genetics can look forward to Medical genetics lectures for the general public to be held in February, March and April. 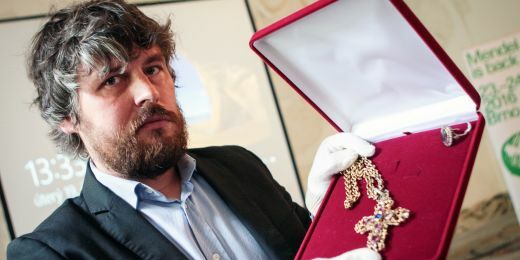 Ceremonial robes and liturgical items, in and with which Mendel served the masses, will be introduced in an exhibition, ‘Jewels of the Old Brno Abbey’ from 31st May to 30th June. The thinker’s own work as well as modern biotechnologies based on the principles he discovered will be presented in an exhibition planned for July under the name “Mendel 190 – from the beginning of genetics to modern biotechnologies” in the Prague National Technical Museum. A graphology analysis is also planned to be published, which will enable a look into the characteristics of his personality. Several scientific conferences are part of the programme. They include an international student conference devoted to biotechnologies and genetically modified organisms and a conference of genetic laboratory technicians and nurses. As part of the celebrations there will also be a commemorative meeting in the house of Mendel’s birth in Hynčice and other events held right in his village of birth. 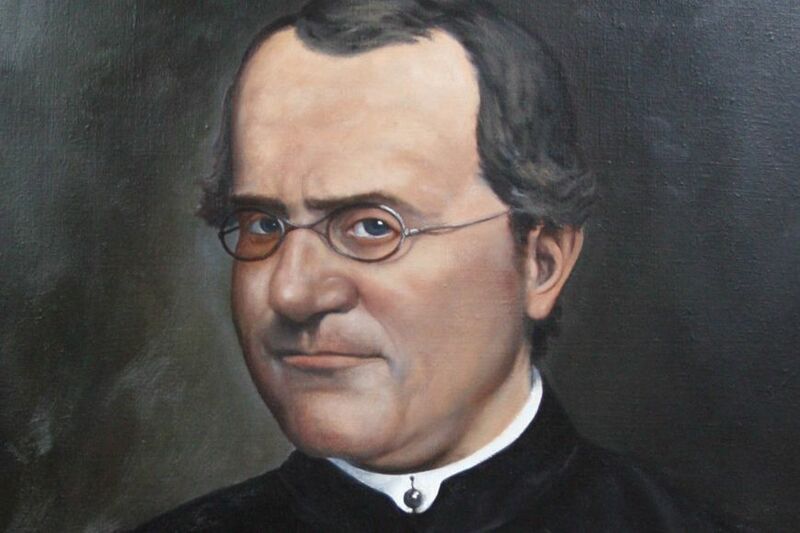 Gregor Johann Mendel (1822–1884) was born on 20th July (baptized on 22nd July) in Hynčice in Silesia (then Austria – Hungary) into a farming family. His parents were Anton and Rosina Mendel. In 1831 he first attended the local elementary school and then began studying at the Piarist School in Lipník in the autumn of 1833. He graduated from the grammar school in Opava making extra money by giving lessons as a private teacher. He studied mathematics, physics, philology, theoretical and practical philosophy and ethics at the Institute of Philosophy in Olomouc. From 1843 he lived and worked as a friar in the Augustinian Abbey in Old Brno. In 1868 he became the Abbot. He is famous for the three laws of genetics, which found use not only in the cultivating of plants and breeding of animals but also in medicine. Mendel Museum is located in the Augustinian Cloister in Old Brno. It is visited by nearly 8000 visitors annually. It is a member of the Czech Association of Museums and Galleries and ICOM. The newest museum was established in 2002. In 2004 a citizens association was established due to a growing interest from the public and the widening of activities of the museum. Masaryk University took the museum under its management in 2007. Mendel garden, in which Mendel conducted his experiments with plants, is part of the museum. For more information go to this page. The event will take place on Monday, July 20, at 7 pm. Entry is free of charge if you register in advance. A new perspective on the life and work of the father of genetics and a unique collection of exhibits. 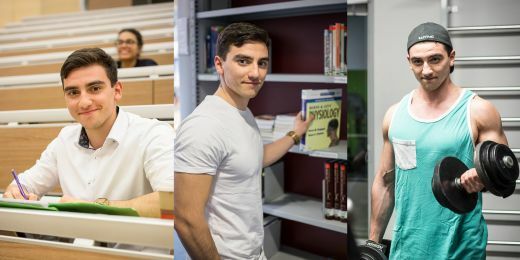 What is best and unique at Masaryk University.